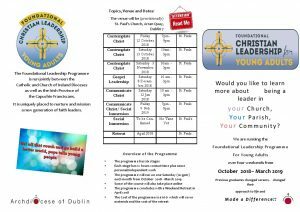 We are looking for at least one young adult from our Parishes to participate on our Foundational Leadership Programme for Young Adults. 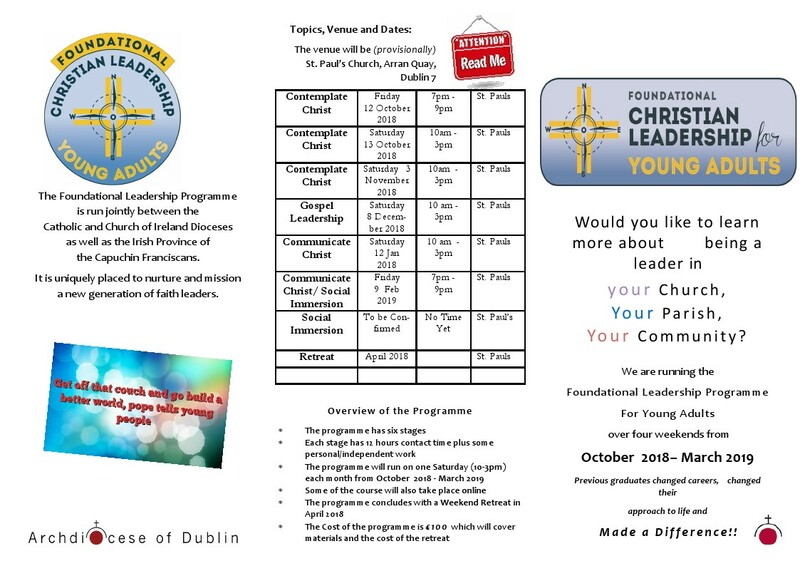 This course has been run previously and resulted in many graduates taking up positions of leadership in their parish, in the diocese and at World Youth Day. 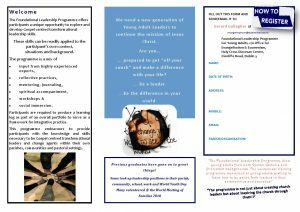 Many parishes often discuss the problems of creating, developing and sustaining youth ministry programmes and encounter the real challenges faced when attempting to reach out to young people in the parish. 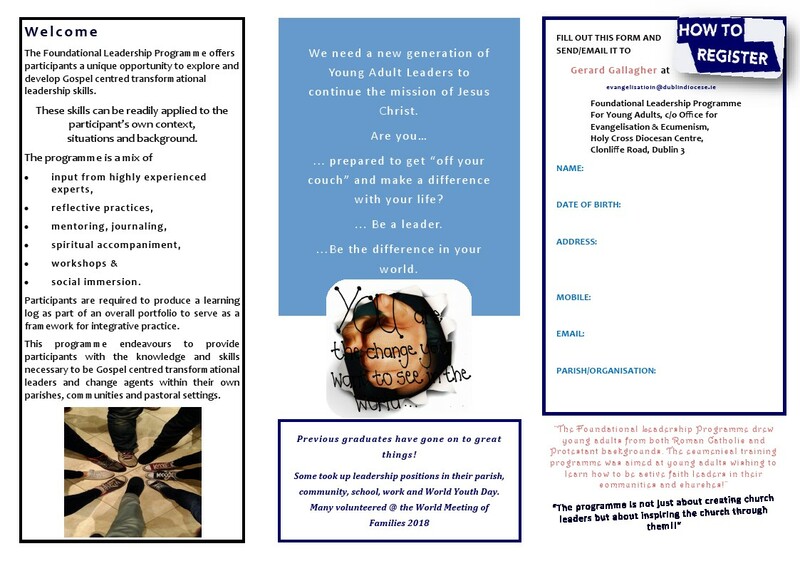 This course is designed to support young adults and in turn, their parishes. It is a dynamic, integrative and highly practical programme which will enable the participants to begin developing their skills as leaders and role models within their local faith based communities. Pope Francis reminds us that “young people are the windows through which we see the future” and the local parish is the seed bed for these young people to discover and grow in faith. He also challenged young people at WYD to “get off the couch”. Hopefully this course will do that. Young people registered for Panama WYD 2019 they will automatically be registered to participate.